One of automotive marketing’s grand traditions is using a vehicle for a jaw-dropping stunt in hopes of demonstrating its quality and might. In 2007, for example, Ford chained a C-123 cargo plane to one of its F-150s and stopped it cold with nothing more than the pickup’s brakes. And who can forget Elon Musk sending his Tesla roadster into orbit? Forged from panels of aluminum to sidestep postwar Britain’s restrictions on steel, Land Rover’s first prototype (above) pioneered the consumer 4x4 market with its promise to “go anywhere” (below). And it was. But achieving crazy things is core to the mythos of Land Rover, which is celebrating its 70th birthday this year. 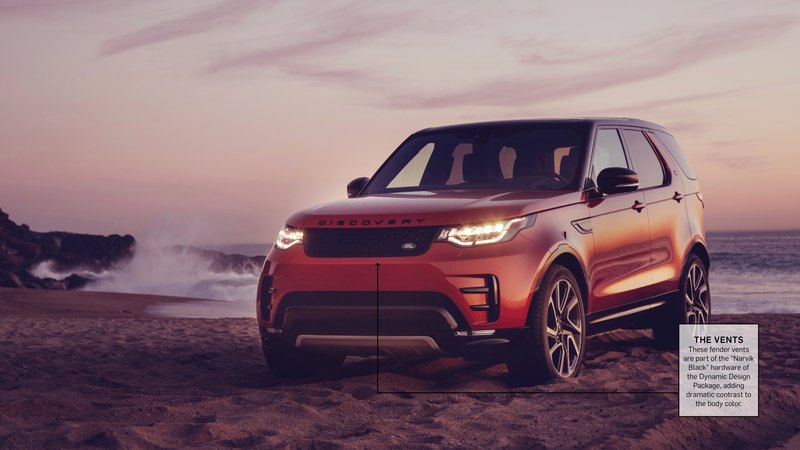 At a time when SUVs are as common as ants and nameplates from Mercedes to Lexus all have a “rugged luxury” model on the sales floor, it bears mentioning that Land Rover was a pioneer of both, going off road with muscle and style decades before it was trendy to do so. Land Rover was the brainchild of Maurice Wilks, technical chief for British automotive company Rover, whose fortunes were slipping after WWII. Early in 1947, while walking on the beach near his home in Wales, Wilks sketched an idea into the wet sand. 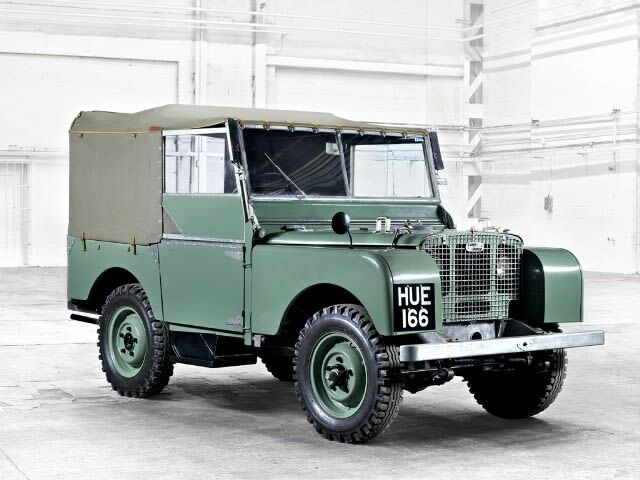 It was new kind of vehicle, one that would be as much at home on the asphalt as in the underbrush, a no-nonsense workhorse, a “rover for the land.” Aside from Jeep (which went into civilian production in America at this same time), all-terrain vehicles were a new thing, and when Land Rover’s Series 1 HUE 166 debuted at the 1948 Amsterdam Motor Show, orders rolled in immediately. 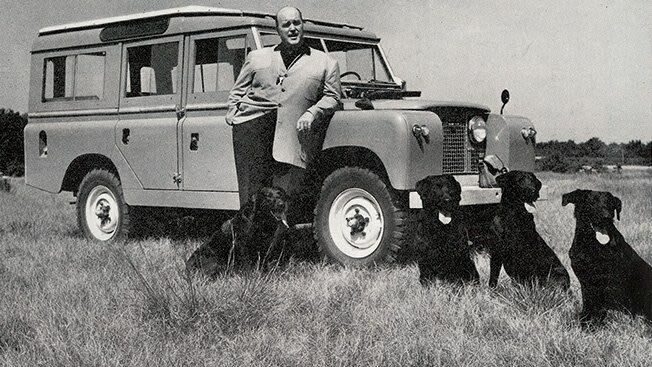 Maurice Wilks, shown above with four-legged friends, conceived the Land Rover during a walk on the beach, famously sketching the vehicle in the sand. Since 1948, over 7 million of the rugged, stylish vehicles have sold. 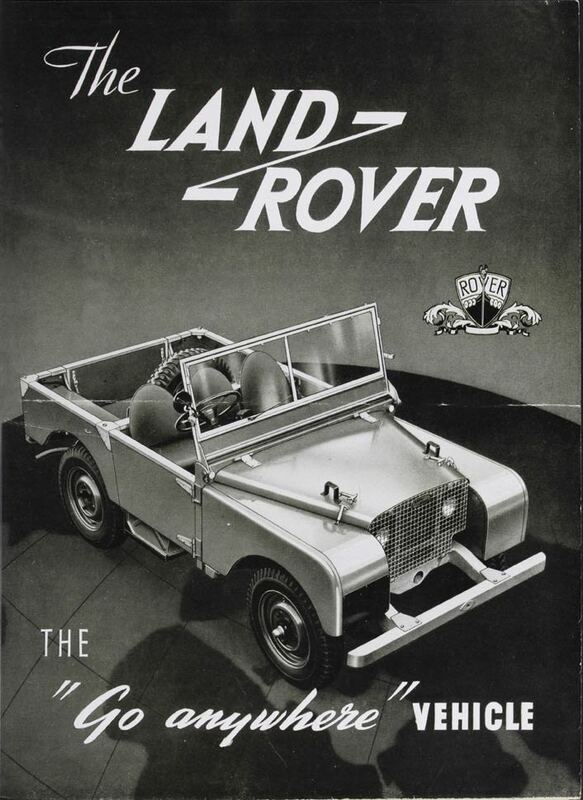 Since then, more than 7.2 million Land Rovers have been sold worldwide. The marque has passed through various hands (India’s Tata Motors owns it presently), but it retains the essential Britishness that helps to sell it. The brand’s enduring popularity also stems from its curious talent for fusing the posh with the rugged. Land Rover is possibly the only vehicle that looks equally at home on the driveways of Greenwich as the steppes of Botswana. That’s largely because of the vehicle’s sturdy, rectilinear look, which traces its roots back to 1948 when the Wilks brothers assembled the bodies from pieces of aluminum alloy to sidestep England’s postwar steel rationing. Yet even as body styles have grown sleeker and interiors increasingly cushy, the suggestion of brawn beneath it all remains central to Land Rover’s drawing power. What’s the difference between Range Rover and Land Rover? Launched in 1970, Range Rover was designed to be a more street-stylish version of the Land Rover. It was targeted at affluent urban buyers coalescing around the luxury 4x4 segment—and it still is. 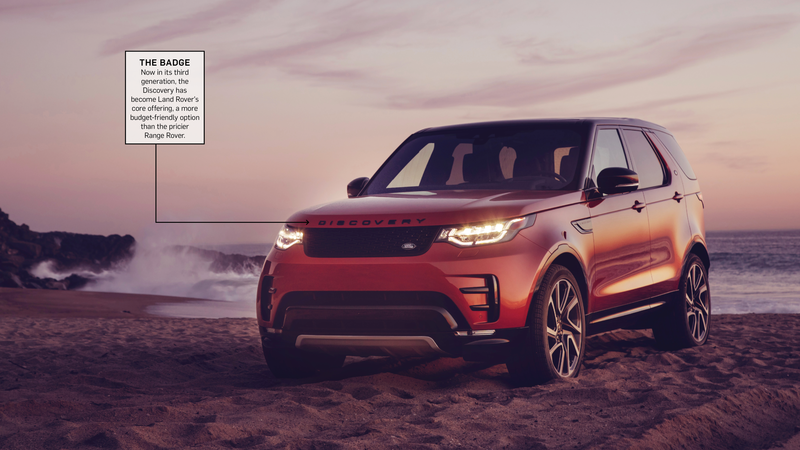 MSRP for the Land Rover Discovery starts at $52,000, while a top-of-the-line Range Rover P400E can set you back nearly six figures. 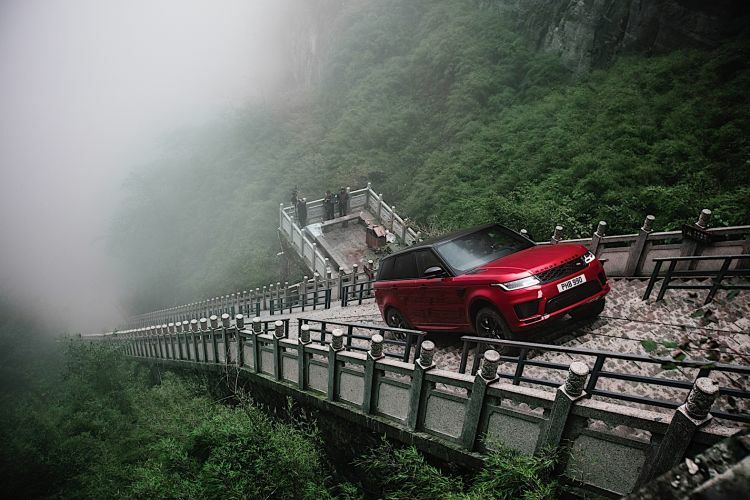 Though the Range Rover is “unashamedly on-road” (to quote some of the marketing across the pond), it boasts all the might and muscle of its scrappier forebear—enough to climb the 999 steps of China’s Heaven’s Gate, as shown above.